It makes sense that the system resets to an all closed state. However, the system shows the zone is open only after you open the door for the first time meaning that the panel can somehow detect a change from the circuit. 1. The magnet is misaligned. 2. Closed resistance value is off on that circuit. The panel may register open when resistance is infinite (opened) after a power cycle but it may be too high for the panel to register closed upon closing the circuit. Very odd. Alright, well we are awaiting some info from ADC on this to see if this can be replicated or if it is specific to the system. We will report back as soon as we hear word. More info on the zone bypass quirk. After limited testing, the incorrect bypass does not seem to be coming from Armed Away vs Armed Stay. It actually seems to come from the section of the app I am using. 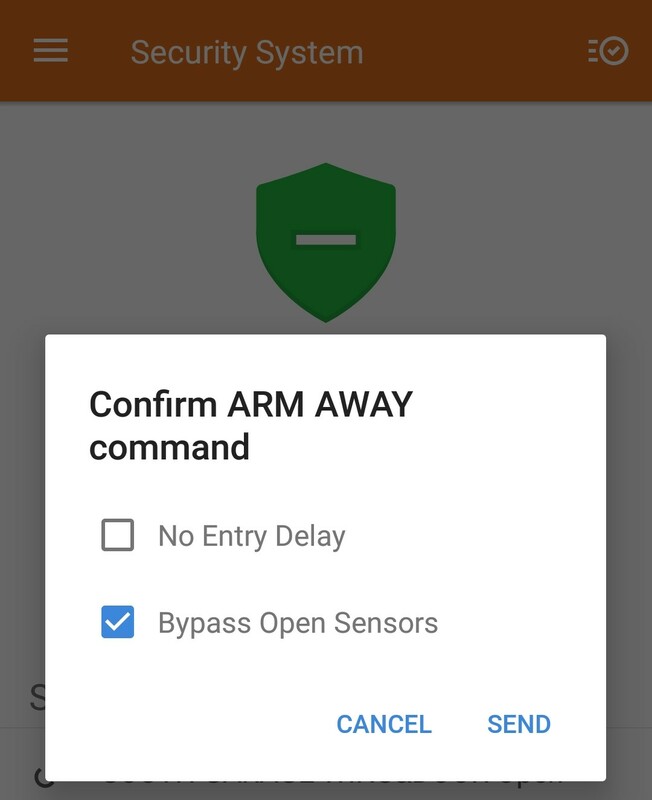 When I use arm directly from the Home screen (see the screenshot with 3 checkbox options) the correct zone is bypassed in both Stay and Away modes. When I arm from the Security System screen (the screenshot with 2 checkbox options), it is trying to bypass the wrong zone and thus arming fails. Haven’t had time to root out the underlying zone fault problem yet. I’ve sent a couple commands to see if we can sync that up. Can you test again a couple times from both pages. Do you see the same response or does it properly bypass 10 and arm? 5:59pm Arm (Security System screen, Away): Bypassed incorrect zone, failed. 7:16pm Arm (Home Screen, Stay): Bypassed incorrect zone, failed. 7:45pm Arm (Security System screen, Stay): Bypassed incorrect zone, failed. 8:05pm Arm (Security System screen, Away): Bypassed incorrect zone, failed. 8:11pm Arm (Home screen, Stay): Bypassed correct zone, succeeded. 8:27pm Arm (Home screen, Away): Bypassed incorrect zone, failed. 8:29pm Arm (Home screen, Away): Bypassed incorrect zone, failed. 8:31pm Arm (Home screen, Stay): Bypassed incorrect zone, failed. 8:33pm Arm (Security System screen, Away): Bypassed incorrect zone, failed. Thank you for following up! We have updated your issue with ADC for further testing of the issue. Additionally, re-initialization commands have been sent and should take about five minutes to go through. If possible, please test remote arming/bypass again, any change? Just tried arming and disarming several times…still no consistent pattern. We’ve updated ADC. Can you please try powering down the system fully, wait 2 minutes, then power back up, battery first then transformer. When the panel boots up fully, wait about five minutes, then change the master code from the panel menu. Wait five minutes, then try testing the arming with an open zone. Still having the same issue (bypasses the incorrect zone intermittently). Will have the original installer take a look at the zone wiring next week. Out of curiosity, is this only caused by the one specific zone? Or do you see the same issue if you leave other zones open? So, if you leave zone 2 open, does it try to bypass zone 4? Have you been able to test other zones? Apologies, we didn’t have a chance to troubleshoot for the past month. We finally got the original sensor installer to come out and resolved the fault issue – it turns out some of the window magnets were misaligned after shutter installation. I still don’t know what was happening with the intermittent incorrect zone bypass, but as the faults have been cleared now this is not an issue for us anymore. Sorry to revive this thread, but we are having problems with Zone bypass again. This time we are trying to bypass zones 9 and 15 (we are doing some window work). This problem seems slightly different to the one before – instead of bypassing the incorrect zone(s), the system is not trying to bypass the zones at all. We have tried to arm the system many times via ADC over the past 24 hours with only one success (Bypassing and arming via the panel seems to work). 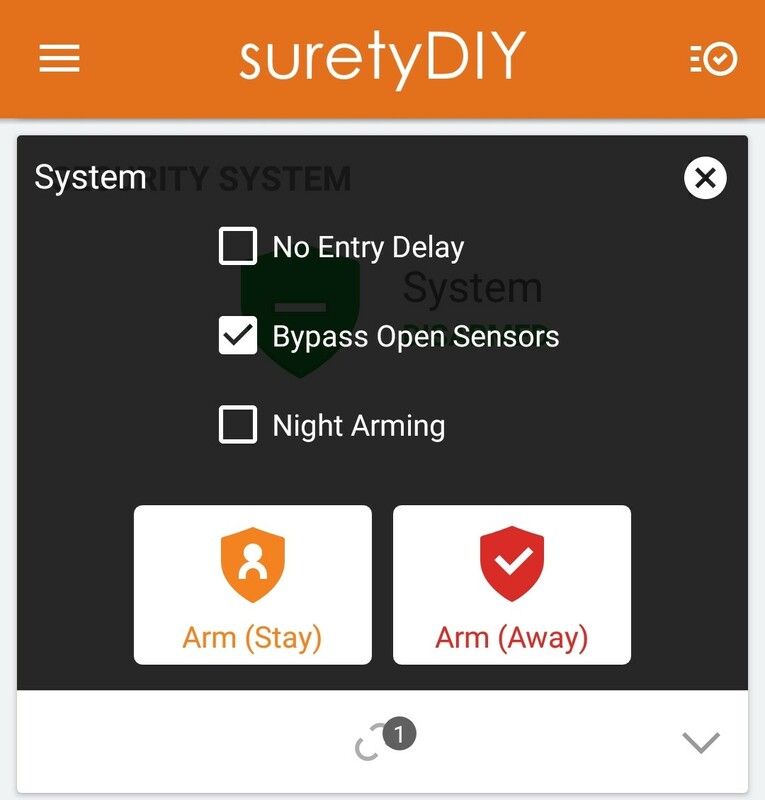 I have rebooted the system several times through the Suretydiy interface and changed the panel programming settings to allow quick bypass, but neither of these resolutions seem to have helped. Do you have any idea what the issue could be? To confirm, the sensors on zones 9 and 15 are open, and bypassing from the mobile app worked once Or you were only able to arm by bypassing via the panel? Out of curiosity, are other mobile commands, such as disarming, working? Its just the arm with force bypass that is failing? Yes, zones 9 and 15 are open, and bypassing from the mobile app worked once. I was also able to arm by bypassing via the panel. Yes, disarming via the app seems to work fine. Since the zones are open for now I can’t test arming without force bypass, but I’m pretty sure it’s a force bypass issue (force bypass was the issue (although a slightly different issue) from earlier in this thread too – it was never resolved). Here’s another bit of info that is probably related. Sometimes when I try to arm with force bypass and open zones, the zones will register a sensor-left-open restoral when I send the command. For example, the system was untouched for >50 minutes. The 2 aforementioned zones are still open/faulted (as displayed on the panel). When I went to arm it, I got the sensor-left-open restoral errors. See the attached screenshot. Currently awaiting a response regarding the app issues from ADC. In the meantime, which version of the app are you using? 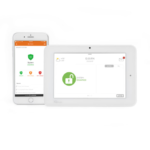 Which device are you utilizing and Have you tried remote arm bypass from multiple devices?